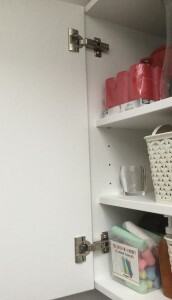 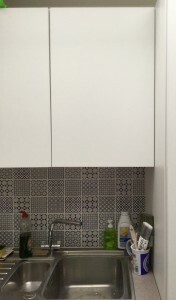 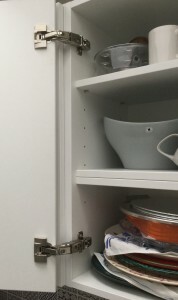 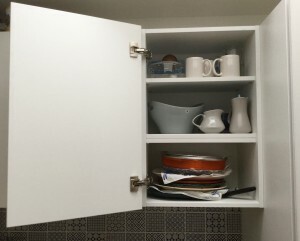 With the sink being underneath the unit, wide angle hinges have been used here, so the door is out of the way when open. 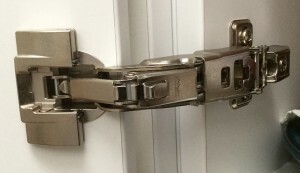 Detailed view of wide angle hinge. 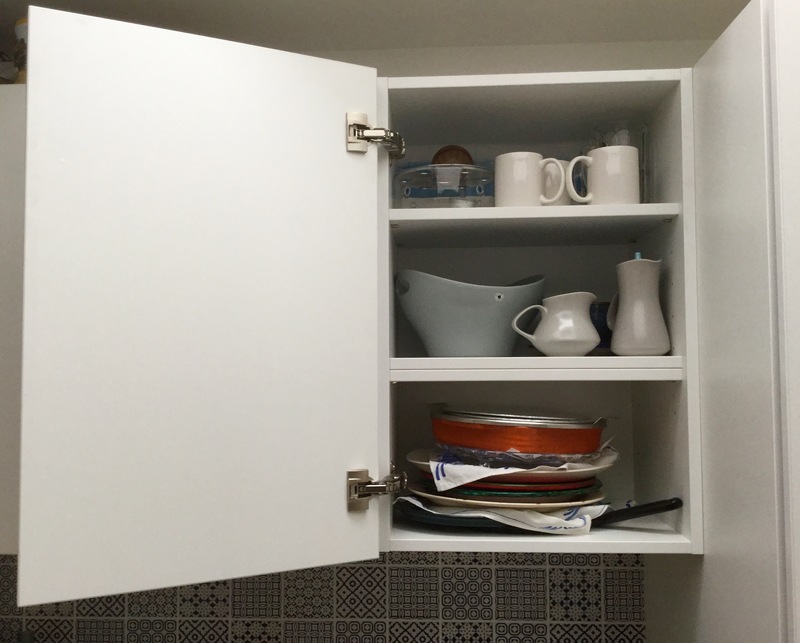 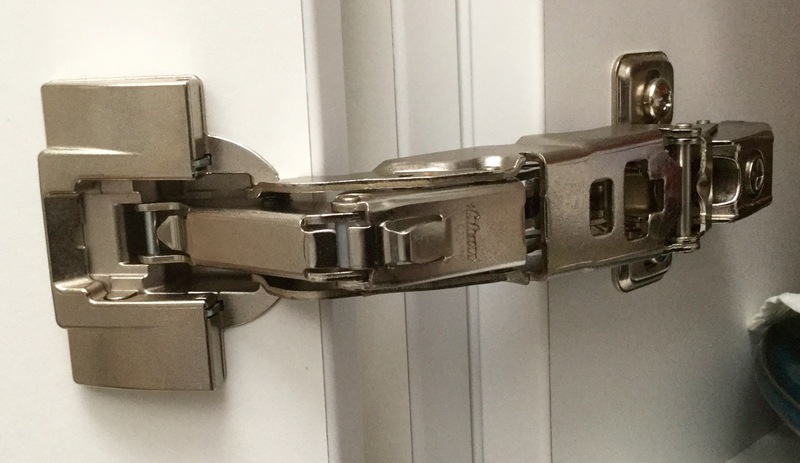 A wider angle hinge (170 Degree) is available, however, not recommended with children in the household due to the danger of trapped little fingers.